Read the rest of the review on Bibliodaze. I haven’t enjoyed a book this much since I read Shadowfever over a year ago. This may be due to the fact that I haven’t read anything other than sappy HEA romances, but I enjoy deluding myself into believing that it was the beautiful writing, characters I became emotionally invested in, and a stunning plot. I read Sarah J. Maas’s Throne of Glass and skimmed over the rest of the series. It was decently written, but didn’t have much to stand out from the rest of the Young Adult world. A Court of Thorns and Roses is not like that. ACoTaR is set in a world so complex and different from ours, but Maas succeeds in flawlessly weaving this fascinating realm. Her writing is marvelous, instantaneously transporting a reader into a world of beauty and terror so acute it’ll haunt your dreams for weeks to come. Read the rest of the review here on Bibliodaze. Do you ever have that tiny little feeling in the back of your head when you just know something’s going to disappoint? It doesn’t even have to be bad, just a small little spark of interest that gets dimmed, like when you have this great, hilarious conversation with someone, but all of a sudden you just stop caring? This was Soulbound for me. I’m making it seem worse than it actually is, because I was super impressed for most of the book. Callihan’s writing has definitely improved since her first novel, and Adam was, *cough* not bad looking, not bad looking at all *cough*. It was interesting learning about Adam’s history and the world of the fairies, but something around 3/4s through the novel vanished. Thank you, Edelweiss, for giving me the opportunity of reviewing this book. Seeing as the one of the main reasons Kit does anything slightly important in this book (except for one person) is because of a letter, I'll write one in the hopes that this book will be one of the killed. I know that many people think it's impossible for there to be a teen killer. Fortunately for you, I'm not one of them. Sure, they're rare (Most serial killers are between the ages of 18-30), but Armadeep Sada was an eight year old serial killer. I can even believe that you started killing when you were tiny, because female serial killers don't get caught until much later and Miranda Barbour was recently caught. Killing over fifty people? Very unbelievable, but then, Pedro Alonso López is known to have killed over 300 people, and he's still not in jail. Seventeen year old killer? Believable. Female serial killer, even though only 15% of serial killers are women? Fine, whatever. Killing over 50 people even though the female average is nine? Not as believable, but whatever, it's fiction. But for Ctullu's sake, do some research, book! Kit's supposed to be the only terrifying serial killer in England, after Jack the Ripper (who, by the way, only killed five people), but a simple Wikepedia search shows so many more. Okay, fine. You don't want to do the work of actually googling things. I get it. Hey, how about that TV show that's extremely popular called Criminal Minds? It's not the most completely accurate thing that details about serial killers, but whatever. Anything would be better than this trainwreck. Did you know, Dear Killer, that I had a great year of books before you? And then you came, with your interesting cover and your interesting synopsis, and I ignored my basic instincts that told me that teen serial killers were the new thing in YA, which therefore would make this horrible. But I didn't listen to the instincts that kept humanity alive for millions of years. I decided to get you from Edelweiss, and look how horrible you were. So instead of reading actually decent books, I was stuck reading you. Do you want to know why I didn't stop. Because I had faith in your getting better. Oh yes, Dear Killer, I was one of those horrible main characters that would stick with the heroine even though he was a complete and utterly unredeemable... jerk. Yes, I have decided that I should really come up with better insults. Anyways, I was one of those terrible heroines. Look at what you have made me become! You know what Kit leaves as her signature? Letters. And not just any letters. Letters that people write to her when they want her to kill somebody. How stupid can you be? Oh, and do you know where the people put the letters? In a mailbox, as if the police isn't going to catch that. Okay, fine. I get it. Occasionally, the police mess up. That does not mean they're that bad at their job every single time. Similarly, it does not mean that it'll be simple to take part in a police investigation and feed them the information you want them to know. If you freaking walk up to the police station and start declaring all these facts about the investigation, they're not going to believe you're a little bright. They're going to do the magical thing called arresting you for suspicion of murder. And you know what else? They don't used media-inspired names, for obvious reasons. If you couldn't tell, I really like studying serial killers. And guess what? Kit. Is. Not. A. Serial. Killer. Serial killers don't just kill a lot of people. A serial killer is a person that kills three or more people in an extended period of time with a cooling off period in between. This "cooling off" period is a time where said serial killer keeps an emotional distance. And then they have an urge to kill again. Did this happen, Dear Killer? The answer, by the way, is no. Were you supposed to be creepy, Dear Killer? Weren't you supposed to give me nightmares? Wasn't I supposed to lock all my doors and windows and huddle in a corner? Well, do you know how much coffee I had to drink in order to stay awake through this? Please, a "perfect" kill? Every single time, which, by the way, is over fifty times? This just falls into the realm of unbelievable. Kit messes up so many times, it's turns hysterical. 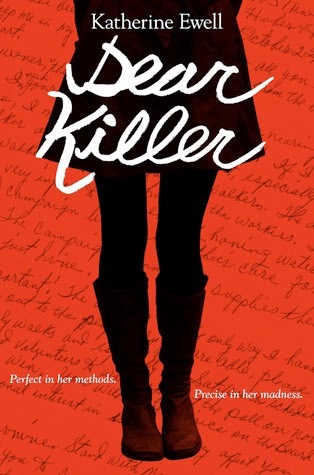 Anyone reading you, Dear Killer, can see how obviously bad Kit is at killing. Maybe if Kit was more careful, I might have believed that she could get away with over fifty kills. But of course not. She's one of those narcissistic characters who believe they do everything correct. Usually, something will happen to one of these characters to change this thought, but no. Nothing really happens to Kit and she just continues her narcissism until the end. The mother-daughter dynamic was laughable. It was supposed to make me feel pity for Kit and everything she went through, but the way she was raised was really badly written. And I'm not even going to bring up Alex, who, by the way is the love interest. While it wasn't instantaneous love, it was an instant attraction, which was bad enough. He's nine years older than Kit, and he's just completely weak. I mean, there's the typical romance alpha male who just pushes everything on the heroine, and then there are people like Alex, who sit back and whine and let everything happen to them instead of actually controlling the events around him. Also, does this take place in the U. K.? Because I never would have guessed if it wasn't told to me so many times. I mean, don't completely throw stereotypes at me, but give me a few hints as to where this is located other than Kit's incurable first person narrative. There is no plot in you, Dear Killer. It's just a lot of events that are barely aligned in chronological order. Congratulations on maintaining a semblance of control of time. At first, I gave you 2 stars, but now that I'm actually writing about you, I've decided that you're a horrible book. But hey, at least there's no love triangle. Also, read Nenia Campbell's Horrorscape trilogy for an actually good thriller. For those who have loved Seraphina and Graceling comes another truly fabulous fantasy... For five centuries, a witch’s curse has bound the trolls to their city beneath the ruins of Forsaken Mountain. Time enough for their dark and nefarious magic to fade from human memory and into myth. But a prophesy has been spoken of a union with the power to set the trolls free, and when Cécile de Troyes is kidnapped and taken beneath the mountain, she learns there is far more to the myth of the trolls than she could have imagined. Cécile has only one thing on her mind after she is brought to Trollus: escape. Only the trolls are clever, fast, and inhumanly strong. She will have to bide her time, wait for the perfect opportunity. But something unexpected happens while she’s waiting – she begins to fall for the enigmatic troll prince to whom she has been bonded and married. She begins to make friends. And she begins to see that she may be the only hope for the half-bloods – part troll, part human creatures who are slaves to the full-blooded trolls. There is a rebellion brewing. And her prince, Tristan, the future king, is its secret leader. As Cécile becomes involved in the intricate political games of Trollus, she becomes more than a farmer’s daughter. She becomes a princess, the hope of a people, and a witch with magic powerful enough to change Trollus forever. ARC received through Netgalley. This review is not biased in any way. There was no money, gifts, discounts, or favors exchanged for this review. First of all, look at the Goodreads average rating. 4.5 ish stars. Whenever this happens, I'm immediately wary of what would probably make me the only person to not love the book. But this isn't the case, though. I actually loved this! Now look at the cover. This is the part where I know I'm not going to like the book. It's a girl in a dress, which is basically all YA fantasy. And most YA fantasy isn't that likeable. Therefore, this is a book that I wouldn't love, right? Wrong. Because what I failed to look at was the background, which is a cave, which is a setting in YA that's barely ever used. Cecile, as you can tell from the title, sings. And she's really good at it. She was even going to go sing at some opera place. But one day she was kidnapped and taken to Trollus, which, as you can tell by the name, has trolls. And she's their only hope. So of course she wins at everything! Well, not quite. She's actually horrible at whatever she was supposed to do. Well, not horrible, but she doesn't win at everything. She just sorts of... doesn't succeeds? At all? But hey, that's only the beginning! Yay! Tristan's the troll prince that she was supposed to marry and save everyone with, and he's- wait. Did I forget to mention him? Yeah, I'm quite horrible at this, aren't I? Anyways, what I forgot to say was that Cecile was supposed to do this weird marriage thing with Tristan and save the world and stuff. Only it's not as unlikeable as my one sentence makes it seem. Just read the book. You'll understand what I'm talking about. Alright, back to Tristan. He's actually why I didn't round this book up to five stars. I just didn't like him. At all. And there were all these reasons of why he acted the way he did (aka, being a horrible human being living thing to Cecile), but you see: I. Just. Don't. Care. Basically, he was the typical YA love interest, just with a reason. That reason- and this isn't a spoiler because it's in the actual summary so don't kill me because of this- is that he's a leader of a rebellion. And he's protecting her from being killed by acting horrible and all these bad reasons and such. Unfortunately, since this is a young adult book, there is a love triangle. Kind of. But it doesn't take precedence over the plot, which is awesome. 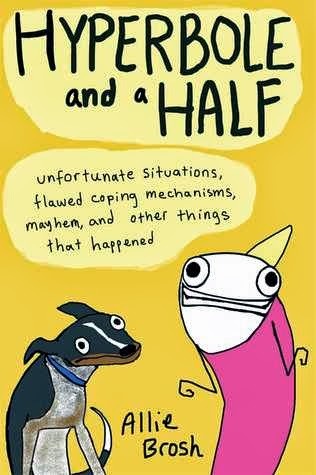 This is the cover of one of the most brilliant and hilarious books of our time. Have you read a better summary than that? 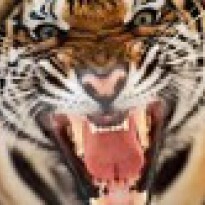 Now, add these lumpy creatures that are humans and vivid and detailed creatures that are animals. Also, it's hilarious. That's all I can say that's slightly coherent. Just trust me and stop everything you've ever done and read Hyperbole and a Half. Thank you, Edelweiss, for giving me the amazing opportunity of reviewing this book, even though it took me months to actually gather my thoughts together. Emrys—a fiery, red-headed Fae—always embraced her life in the Highlands, far from the city’s draining technology, until she’s sent to London to rejoin the Faery Guard. But this isn’t any normal assignment—she’s sent to guard Prince Richard: Britain’s notorious, partying bad boy and soon-to-be King. The prince’s careless ways and royal blood make him the irresistible for the dark spirits that feed on mortals. Sweet, disheveled, and alive with adventure—Richard is one charge who will put Emrys’s magic and heart to the test. When an ancient force begins preying on the monarchy, Emrys must hunt through the London’s magical underworld, facing down Banshees, Black Dogs and Green Women to find the one who threatens Richard’s life. In this chaos of dark magic, palace murders and paparazzi, Emrys finds herself facing an impossible choice. For despite all her powers, Emrys has discovered a force that burns brighter than magic: love. And the books are even better than Jericho Barrons. So when I heard about All that Glows being on Edelweiss, I snatched it up. When none of the reviews were up yet. Which is a horrible, horrible idea that I always end up doing. A few days later, multiple reviews pop up. And, of course, most of the people I followed hated it. Because I didn't want to start 2014 with a bad book, I decided not to read it. Good choice, right? But alas, the universe hates me. Somehow, I ended up reading it. I have no idea how, but I did. And I hated it. Based on my deductions, this is either a hilarious parody of Young Adult books, or just a terrible book, with all the YA faults. Unfortunately, it seems like the latter. Maybe it's just me being the typical disbelieving me. 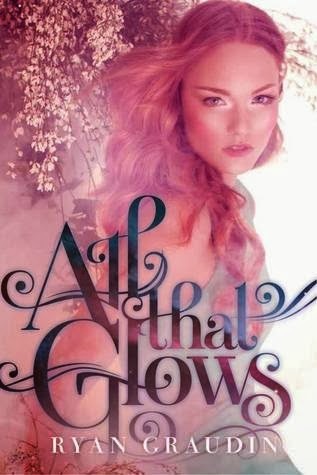 Basically, what All That Glows is about is some ancient faery instantly falling in love with a prince. And describing how she feels with many annoying metaphors. The setting is in England, with horrible research. The characters besides "Embers", as Richard so unimaginably calls her, and Richard exist for the sole reason of doing nothing except for information. And yes, I can sort of live with that, but if this books is about fairies, and I come out of it learning nothing except for the fact that Emrys is so totally awesome and Richard is so hot, I'm going to get a little annoyed. The narrative? What narrative? It's supposed to be first person, which is supposed to not act like a boring textbook. And if the main character is a faery who you'd think would be awesome, it just irritates me when I almost fall asleep reading. Bottom line, don't read it, no matter how pretty the cover is and how awesome the book trailer is. Less than a month until Bibliodaze.com launches! We're still looking for contributors to write reviews, commentary, funny lists, advice, ranting and whatever else crosses your mind. The literary world is your oyster! If you're interested, drop me a message and we'll talk. We can't do this without you! [Reblogged from The Armchair Librarian] I'm Writing a New Book! Does that mean that there might be some ARCs given away on Booklikes when I'm finished? Five Stars ARC received from the author. There is no bias in this review. My favorite part about Clean Sweep wasn't the awesome main character named Dina. It wasn't the amazing werewolf called Sean Evans or the vampire Arland. It wasn't even the completely brilliant setting of the Inn. It was the fact that there was a shih tzu that made me love this book. That's right. I'm so shallow that a shih tzu named Beast changed this book from a 4.99 to a 5 star review. But really, can you say no to this face? If you can, you have no soul. Something's killing dogs near Dina's Bed & Breakfast. She suspects the werewolf, Sean, for a while, before coming across one of the killers. And that's basically all I can say about the plot without spoilers. 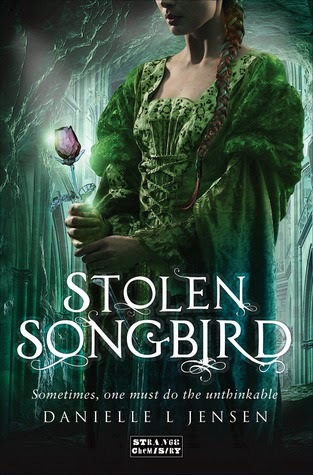 The characters are like Ilona Andrew's other characters: unique and enjoyable. There's a love triangle, but it's not relevant to the book. This makes Clean Sweep of the few books to have a love triangle not be annoying. The inn is my second favorite part of Clean Sweep. Well, all the magic in this book is the second best part of it. It's just so imaginative and well-written. There's really nothing in this book I don't like, so this is a short review. The only thing I can really say is that if there's no sequel, I just won't function in everyday life. ARC received from publisher. There is no bias in this review. Do you know what's horrible? The fact that in the title, the "i" is not capitalized, but all the other letters are. It's terrible, and I almost didn't read it for that capitalization error alone, but come on, it was a Victoria Scott novel, and that woman is an amazing writer. But fear not! What's inside the book makes up for that "i". Kind of. So a while ago, there was a huge craze about this book. It's died down since then. But what always confused me was what a Pandora was. Maybe it was just me being the typically ignorant me, and Victoria and everyone in the blogging community specifically defined it, but I never really understood what it was until after I read the book. And no, this isn't a spoiler, since it's in the first fifty-ish pages. For all you people out there that are like me, a Pandora is a genetically-engineered animal companion in the Brimstone Bleed. It's a different animal for everyone. For Tella, however, it's a fox. A really, really, REALLY cute fox. One that you just want to snuggle with and pet and play with. All the Pandoras have special powers and are basically amazing. The plot is like in the Hunger Games. Actually, it is the Hunger Games. There's a teenage girl who needs to save her younger sibling and the only way to do so is to join a tournament where only one can survive. Add in a few extra characters and plot points, and ladies and gentlemen, welcome to the Brimstone Bleed! Fire & Flood is basically the Hunger Games, but better.Tella isn't as whiny or ignorant as Katniss, there's no love triangle, and the writing's just better. Victoria Scott has this imaginative way of writing that's snarky and relatable. The descriptions and the settings of Fire & Flood were insanely vivid and interesting. Though I'd hate to be in the Brimstone Bleed, I can relate to Tella and how she manages to pull through every challenge the tournament throws at her. She had some of the idiotic teenage moments, though, which really annoyed me. This novel immediately hooked me in from the beginning, but then it drags towards the middle. The end of Fire & Flood is better than the beginning, though. Thank you, Scholastic Publishing, for giving me the opportunity of reading and reviewing Fire & Flood. I hope you have a great Christmas and holiday season. And so what if you have to not be able to read for a few minutes and have to interact with living things? You get to...um... fine. The holidays aren't that awesome anymore now that you think of it. Except for that bit about presents. And spending time with people that matter to you. So, I hope you all the books you wanted are under the tree. And I also hope that the trashy books you got aren't opened by a six year old wondering how the people aren't cold because they have no clothes on. And then, you'll have to explain to said six year old why they aren't wearing any clothes, which will be a great and fun experience. I Might Not Be Late, for Once. I got a Leafmarks yesterday night/today. This means I'm not the last person to finally figure out how to do something. The link is in the title, by the way. By the time we finally got to chapter one, it had already been over 400 pages. And second, the ending was horrible and pathetic. ... a week or two ago. But seriously, only 140 characters? It's horrible. I have to edit everything I say and cut it down to a sentence or two. And, I used the title of this post as an url to my profile page. I feel so accomplished in finally figuring out how to do this. ARC received from Harlequin TEEN. There is no bias in this review. As with the Obsidian and the Covenant series, Jennifer Armentrout's next Young Adult series starts out with a novella featuring a paranormal creature everyone has heard of, but never really thought about. Instead of only being around twenty pages or so, it's slightly over a hundred, which makes it more satisfying. The best part about this, though, is that I can actually write a (kind of) full review instead of a few sentences. Three years ago, Jas's friend/ love/ boyfriend/ typical romance character disappeared. Because she's an awesome character, she gets over it for the most part. Then, he comes back and wants to become mated with her. I swear, this isn't as dirty as it sounds. They have seven days before Jas has to make a choice between accepting or declining said ma- I can't even type out this word without snickering. She proposes a deal consisting of Dez taking her out to feel human in exchange for considering him. This novella is possibly my favorite of JLA novellas- not that there are many of them. It sets up the storyline for the next book, White Hot Kiss, perfectly and doesn't give too much away. As with the rest of her books, Jennifer Armentrout creates a beautifully descriptive world similar to ours. When she adds her awesome characters, it just intensifies the amazingness of it. There isn't a hugely convoluted plot to this books; it's a simple romance story that puts a smile on your face. There are no strange plot twists or many subplots, so it's a good novella to read when your in a sad mood. It's very predictable, but in a way that automatically makes you happier. 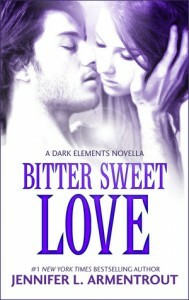 The reason Bitter Sweet Love isn't five stars is because it's too short to reach all the expectations of a five star rating. 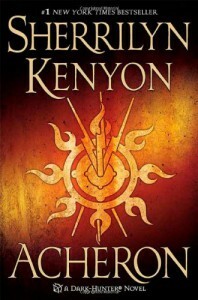 If you've never read a book by Jennifer Armentrout, this is a good work to start out with. It's not too complicated and is snarky and basically awesome. Thank you again, Harlequin Teen, for giving me the opportunity of reading this prequel early. And the first book. Yes, people, I get an ARC of White Hot Kiss. Everyone be jealous of my awesomeness. 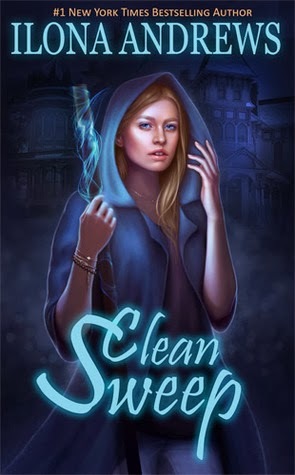 This was just an ad on the side of Goodreads. Someone save us!